Changing your diet can be a little overwhelming! I’ve heard someone say it’s easier for people to change their name then to change their diet. I have to agree. I changed my name (well, when I got married) before I ever thought of changing my diet. Actually, it took my health in order for me to change my own diet. This is why I’m so passionate about healthy eating and recommending that others change their diet! I don’t want them to go down the same road I did. I know “change” can be a difficult word. For the rest of this post, I’m going to say “modify” instead of change. For some reason, modifying a diet seems more manageable:). No matter what your views are on particular diets, everyone can begin to modify the foods they eat for the better. Once I began learning more about the food I was eating, it was like a light went on. I began seeing food for what it was – either healthy, or damaging. The more I learned, the more I couldn’t believe what was going on with our food. Robyn O’Brien does a great job of informing and educating about what is going on with our food system. I highly encourage you to watch her video below and to follow her on social media. Here are some suggestions to consider when tackling the task of modifying your diet. This isn’t an exhaustive list, but you are definitely heading in the right direction if you begin to follow them. Some of the steps might feel more difficult than others, but it’s worth trying them. Start off small then continue to build upon what you’ve done. I remember when I began to modify my diet, I only did a couple of things. There was a learning process. Once I felt comfortable, I added something else. I also kept in mind that a habit is usually formed within 21 days, so if I could make the change for a few weeks, it would eventually become second nature. Your taste buds change too! I know it can be convenient, but there are so many chemicals and toxins in these processed foods! It’s not worth it. There are no nutritional benefits in pop! In fact there are many damaging ingredients. Actually, I believe pop was one of the many things that contributed to my health problems. I gave up pop many years ago during the beginning of my health journey. If I can do it, you can too! I used to drink diet Pepsi just about every day, even a couple times a day. I was so addicted to it that after I quit, just the sound of someone else opening up a can (of whatever drink) would make me want diet Pepsi. A couple of years after I had quit, I took a sip just to see how it tasted. It was awful and super sweet. I couldn’t believe I used to drink it regularly and actually crave it! I know this is a difficult one to fully eliminate! It’s so much easier to use a jar of something instead of making it from scratch. I still use some processed foods, but not near as much as I used to. I try to follow as much of a real, whole food diet as possible, but if I do use a processed food, it has certain requirements that I want it to meet. If you eliminate the things above, you will more than likely have automatically eliminated these toxins. If you are unfamiliar with genetically modified foods, please check out this article – what are GMOs. Organic standards do not allow for genetically modified foods. They also do not allow synthetic pesticides and other chemicals to be used in the growing process. Isn’t your health and the health of your family worth it? So many health problems could be avoided if our diets were healthier. Read Next: Which Healthy Diet is Best? 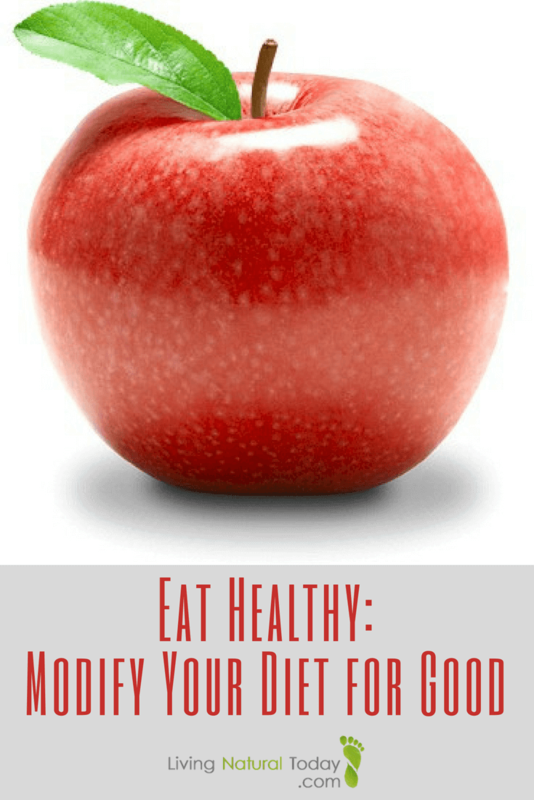 Have you made any changes/modifications to make your diet healthier? What have you done? Love all your tips. My Family within the last 6 months elimated soda. We drink much of it anyway. But I never liked how I feel after I drank it. Thanks for stopping by! Congratulations on eliminating soda! You’re much better off for doing that. Thanks Tanai! I appreciate you letting me know that this didn’t seem overwhelming. That was my goal. It’s great that you don’t drink pop or juice! That’s a good start! I encourage you to continue to make positive changes and to build upon them. Great post! I am striving towards all of those things, it is so hard though! Processed food surrounds us. We really have to work hard to avoid them, but it really is worth it. I have taken baby steps in that direction and am still working on it. Thank you for the tips! I will definitely use them. Thanks Ashley! Glad to hear you’re striving towards a better diet. Taking baby steps is a great thing. Just continue to build upon them. Sounds like you’re moving in the right direction! I’m a big believer that how you eat can help or hurt you. I went gluten free in 2010 and haven’t looked back. I’ve been much more happier, healthier, and I can think better without that foggy cloud in my mind. I can’t say the same for the rest of me. Eating gluten all my life has damaged my reproductive organs, so I can’t carry. But, I’m happier now and went vegetarian not long after I went gluten free. It’s been wonderful and I’d never go back to the way I was before! Loved the post! I have an allergy to wheat, so I’m pretty much gluten free too – at least wheat free. Thanks for the positive testimonial about how much better you feel without it. Isn’t it amazing what damaging effects gluten can have on us? Sorry to hear that it’s effected you so poorly. Glad to hear that your change in diet has made a positive difference! My husband is a farmer so we are blessed to grow most of our produce ourselves and have our own beef. Thanks for the post! Yes, that’s a great thing! You’ll be much better off for it in the end! Yes! I have made several changes to my diet and I’m so glad that I have. I feel better, have more energy and I can fit into clothes from high school! That’s great! Thanks for the testimonial of what can happen when you make the changes! I’m looking into “modifying” our family’s diet. It’s just so hard. My husband has a major sweet tooth, and his eating habit make me feel sorry for myself, & I grab whatever sounds good to me too! I know that baby steps are the answer for me and my family. It won’t happen overnight. Not eating out is a no-brainer, but I still do it all the time out of convenience. Thanks for the encouragement – it’s good to know other people are on the same journey as me!!! Your tips are right on the money. Thanks Rebecca! I understand about a husband having a sweet tooth. Mine does too! I know how sugar makes me feel so I stay away from it. With me not having it in the house too much, he’s cut back on the sweets, so it’s been a good thing for him too. I encourage you to start making small changes and continue to build on them. You’re right – it doesn’t all happen over night, but getting a start on it helps! You can do it! Thank you for the good advice. I have tried multiple times to eliminate diet coke out of my diet. I know it makes a huge difference but every once in a while I slip. I am working from home now, so I think it will be easier to make better choices. We have been slaves to fast food. It is just laziness on our part, not wanting to come home and cook especially if it is late. That is our excuse! It is too late to cook. I know if I planned ahead, we would not have this problem. Glad to hear you’re trying to eliminate pop! It does make a difference. If you’re working from home now, hopefully you will be able to make more dinners. Eliminating fast food will be another great step. It takes effort, but like you said, if you planned ahead, making dinners isn’t as hard. I’m still working on that one – planning ahead:). Thanks for stopping by! In the past few months I also started to modify my diet. I started drinking water instead of diet cola, I only drink one cup of coffee a day. We now try to have vegetables in every meal. I hope that in time I would make more changes and that would help me feel better. Thank you for the great post! Glad to hear you’ve began modifying your diet. Cutting out pop is a big step! Definitely eating more vegetables is a great thing too! I’m living proof of what a better diet can do for ones health. 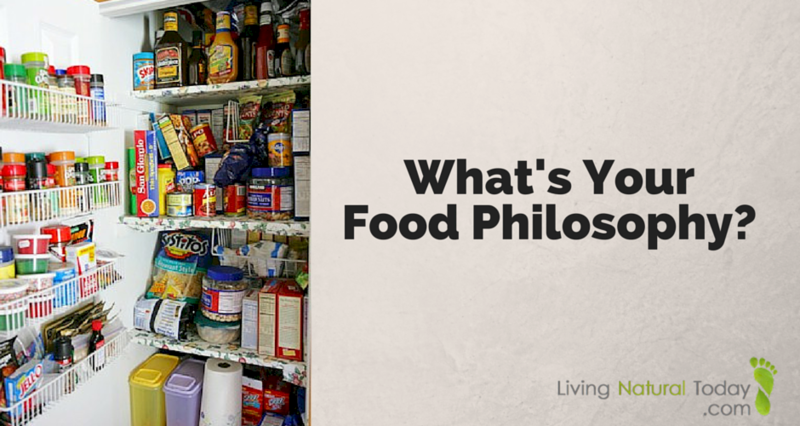 I had to learn that the food we choose either gives us health or disease. I encourage you to continue to make positive changes to your diet. Your body will thank you! These are great tips! I have cut out the soda as a New Years goal and aside from a Sprite on two occasions (one of them illness and the other because water wasn’t available for a park bday party – my bad for not bringing my own water) I have been successful! The other areas I need to work on little by little. Maybe I should make a goal of eliminating one thing per month! Bookmarking so I can try that!!! Great job on eliminating pop! I like your idea of eliminating one thing per month. Come summer, you’ll have come so far and will be doing great! Great suggestions on eating healthier. It can seem so simple down on paper (or on the computer screen) but can be much more difficult to put into practice. Thanks for sharing! Thanks for stopping by! I suggest you try to do one thing at a time, then build upon it. That way it won’t seem so difficult. I’m working on this. Diet soda is for special times. I rarely drink alcohol and I have a diet soda at parties. I’ve cut way, way back on white flour and refined sugar. I still get cravings, but I find much less than I did when both were more regular parts of my diet. Sounds like you’re making some good changes! Keep up the great work! Robin’s video is great! Your tips are wonderful too! I have been saying all this for years, but her video compiles it all so nicely, I’m going to share it too. I switched our family to organic milk when my girls were babies and have done organic produce for years as well (we belong to a CSA, it isn’t certified organic because of the costs, but the farmer only uses organic seeds and farming methods and would gladly personally show you to prove it instead of paying the government!). I am now working on moving to gluten free (because it makes a difference in how I feel). I have an upcoming post about why my family does “clean eating” and I will link to your post if that is ok! I have been working on putting my breakfast recipes on my blog with tips on how to work it into your regular schedule, for those that feel they don’t have the time to make things from scratch. Thanks for stopping by! Glad you liked Robyn’s video. She always does a great job explaining things. I eat gluten free because I have a wheat allergy, but I probably would have went gluten free either way. Wheat is so different today from what it used to be. It’s good you’re listening to your body and seeing what makes you feel bad. Thanks for linking to my post! I’ll be anxious to read your clean eating post! This subject can never grow old and the importance of eating right and having a proper understanding of what can make your healthy or ill is always needed. We have been down the road of extreme diets and radical health changes because we have a child who was ill at a young age. We learned, often the hard way, that extremes are often just as bad as eating poorly. What I did find, was maintaining a proper balance, eating as close to the way that God made it as possible, and drinking lots of water, are ways that I can make eating healthy as cost effective and stress free as possible. Mostly it just takes time to create a habit in our eating and our food preparation. We make nearly everything from scratch when we can and when you do that, processed foods just don’t taste as good. Thanks for stopping by! I definitely agree. God gave us all of the foods and nutrients we need to not only survive, but thrive. It’s too bad we’ve messed it up with GMOs, chemicals and all of the processed foods. I also agree that we need some balance. You’re right, our taste buds change once we start eating different. I can’t believe I actually liked the processed foods I used to eat. 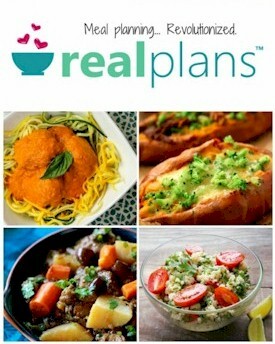 Whole, real foods taste so much better! This list of foods to eliminate are completely reasonable – yet the most convenient and easily attainable. We’re just starting to eat more whole foods, and it’s tough to do with limited time – but you’re so right in saying that our health and our family’s health is completely worth it! Glad to hear you’re eating more whole foods. Eliminating processed foods is huge! Yes, your health will thank you! Continue to add to what you’ve done. Thanks for stopping by. In the past few years, we’ve made a lot of changes in our diets. We’ve been limiting fast food, processed foods, and GMO foods by replacing them with healthier versions. It’s great that you’ve made a lot of changes to your diet! Sounds like you have a great start! Keep up the great work! We are working on being better, eating better and just being healthier. Takes some discipline but we’re winning thus far. You’re right, it does take some discipline to eat healthier. Glad to hear you’re winning the battle! Your list changes is top notch!! I have also been on this journey…. The book “Trim Healthy Mama”…has been a huge life changer for me!! Not only do they follow a lot of what you recommend above ,they teach ( in very easy to understand words ) how we should pair our foods! Thanks Dory! Glad to hear you’ve been eating healthier too! It’s definitely a journey. Thank you for this wonderful post. I moved to the US in 2010 and it was a real eye opener on how much crap is actually in food. Yellow Dye 5, yellow dye 6, high fructose corn syrup. While I loved the abundant supply of organic fruits and vegetables (Washington State) I got extremely frustrated and sick of reading all the labels to see what the heck I was eating. So I love posts like this one cuz it’s more how I’m used to thinking and eating. Thanks for stopping by! You’re exactly right. It’s so sad that the U.S. allows things in our food that other countries won’t. I actually feel bad for other countries when I hear that our fast food restaurants are moving to their area. You’re doing great sticking to organic fruits and vegetables! I have spent some time modifying my diet recently, although not for these reasons. I already followed many of these habits but with my current pregnancy I have developed some new allergies that have caused problems with my diet. It can be frustrating but I agree, it’s much easier to work at it a little at a time then to do it all at once. Sorry to hear you’ve developed new allergies. I’ve developed food allergies during the past couple of years too. It’s my own opinion, but I believe that GMO’s and all of the added chemicals have been a huge reason for that. Best wishes for a healthy pregnancy! Changing my eating habits (as well as my family), has definitely been a challenge. When I was working full time, we were eating out at least five times a week. It was really hard because I was always tired when I got home and my husband was working nights at the time. Since becoming a SAHM, we’ve changed our eating habits a lot. We stopped with the fast food and we’re working on the organic/gluten free foods. I’m hoping that I can tackle your bullet points, though some are pretty hard at the moment. But I feel confident that in time we will succeed. Thanks for sharing this important information. Thanks for stopping by! Glad to hear you’ve been making changes to your eating habits and aren’t eating out as much. Sounds like you’ve taken a lot of great steps already! It’s definitely a process. I encourage you to keep adding to what you’ve already done. Hi Teresa, awesome post! I’m on board with diet modification! It is a journey toward better health. My own lifestyle changes began simply as a way to control weight and feel better. I gave up soda and fast food, ate more whole grains, eliminated hydrogenated oils and high fructose corn syrup. Then I eliminated unclean meats and included more vegetarian dishes in my diet. I’ve been a complete vegetarian for the past 10 years. Part of that time I was also a vegan, but have since resumed eating organic free range eggs, yogurt and butter. I’m not saying everyone should be vegetarian. I think a Paleo diet can also be a very healthy diet when using free range, grass fed, wild and organic sources. A couple of years ago I went gluten-free and this past year I also went sugar-free and grain free. I eat organic as much as possible. I’m still working at healing my health issues naturally, and I’m confident that I will get there. It’s just going to take time to undo the years of damage I had done. Thanks and I’m looking forward to seeing more of yor posts! Thanks Anastasia! I always enjoy meeting others with similar interests! Looks like you’ve gone through a great process of eliminating bad foods. It’s also great that you eat organic! I try to eat sugar free and grain free too. Most of the recipes I post will be along those lines. You’re right – it takes time to undo the years of damage. That’s something I always have to remind myself. Thanks for the social media follows. I’ll be following you back! I am eating a buckeye as I read this…thanks! I think that good things are so easy to put in your life. Exercise, eating right. Easy to do for a while, but easy to slip back into our bad habits. If you could just find a way to stick with the good for the rest of your life! Are you from Ohio – eating a buckeye:)? I have to admit, exercising isn’t a habit I’ve kept. Yes, keeping up the good habits for life would be great! Thanks for stopping by! I can’t stand the carbination in pop so I’ve never been a big soda drinker. That’s nice on both the budget and the body, but I have far too many other bad habits. I’m an emotional eater and when I get stressed I make a big batch of chocolate no bake cookies. At least Dear Hubby knows when to take cover! But I’ve been slowly trying to make other healthy changes in our life without anyone noticing. I’ve been trying to make more of my own stuff and using fat free and better products when I can’t. Thanks for the reminder on why we keep up the battle. I am working on trying to gain the last of my “baby” weight. My youngest will be ten soon, so I think it’s about time. It’s great you never were a big pop drinker and that you’re trying to make some healthy changes! I’d watch out for fat free products though. I used to think they were healthier, but I’ve learned that they typically aren’t. Make sure to read the ingredients. That’s funny about the warning to your husband when you make no bake cookies:). At least he has that as a sign to watch out! I encourage you to continue to keep up the food battle! You’ll be better off in the long run. My family and I are working hard to eliminate fast food and eating out in general and instead working towards making all our meals at home. It’s been a process, especially since cooking everything instead of ordering out takes much, much longer before dinner is on the table and there’s generally more cleanup involved afterward, but it’s been worth it thus far, for our health and our wallet! That’s great that you’re in the process of eliminating fast food! Switching to cooking real, whole foods is definitely a process. I’m going to be doing another blog post about the cost and time associated with fast food and cooking from home. Someone did a video (I think it was ABC News) timing it. By the time they drove to get the fast food and waited in the drive thru line, it was actually faster to make a meal at home. They didn’t include clean up though. It was cheaper too! Thanks for stopping by! I’ve gotten rid of a lot of stuff (fast food, high fructose corn syrup-mostly) but I haven’t given up soda yet. I know I need to, and I think it is something I’m just going to have to go cold turkey on. It’s great that you’ve gotten rid of fast food and HFCS (other than in pop), That’s sort of how I started out too. I had to just give up pop cold turkey. So glad I did! Hope you’re able to do that too! Thanks for stopping by. Oh the battle with the soda! I have come a long way since school where I drank a ton of it. I still try to cut back, but have not eliminated completely…I think the longest I’ve gone is a couple of weeks…I also try to stick w/cans or order it occasionally. My kids do not get it except for when we’re out, which isn’t often. We also received a soda stream for Christmas, and even with the syrups that are all natural we use in slow moderation. I also stick to the rule, to fill my grocery cart from the outside perimeter. I always start in produce and work my way around. I think a lot of people have a battle with pop! It’s great that you’ve been cutting back on it and that you don’t give it to your kids much. I’ve seen the soda stream, but I haven’t looked into it to see what the ingredients are. 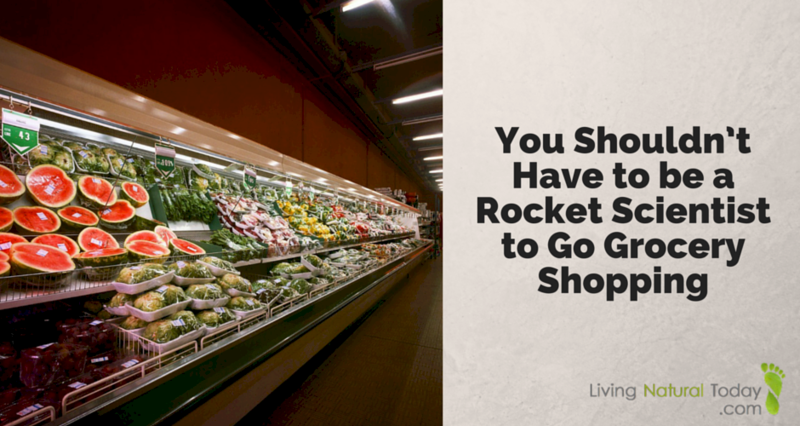 Shopping on the outside perimeter of a grocery store is definitely the way to go! Thanks for mentioning that. I should have included that in my list too. Thanks for stopping by! I’ve switch to organic, I was fortunate enough to find a co-op near me, where I get my fresh organic fruit and veggies from. sometimes the stuff I get I dont even know what they are or how to eat them so I research and I’m finding out a whole lot about healthy food. my best strategy is to not keep it in the house. Thanks for stopping by! Sounds like your parents instilled some good habits in you. Glad to hear you eat organic too! I definitely like your strategy – don’t keep it in the house! Hi! I just wanted to say thank you! I have been making the change myself to being more healthy and not buying the yuckies – as I call them. My husband still goes out and buys pop but my boys don’t have it and neither do I! That stuff is toxic! Next step, working toward a no-GMO home. This is proving to be more challenging that I first thought. It requires a bit more company research and such. We are working on making the change though! Glad to hear you’ve been making changes! It’s definitely a process. My husband still buys pop too, but he’s cut way back. I told him I can’t buy it for him with a good conscience, so if he wants it he has to buy it himself:). Look for the organic, or non-GMO project verified labels when shopping for nonGMOs. Sounds like you’ve definitely been taking steps in the right direction! I gave up soda earlier this year, it’s just the start in what I’d like to improve. Thank you for the great tips! I can’t wait to put them to use. Congratulations on giving up pop! That’s a great accomplishment! You’ll definitely be better off for it! Thanks for stopping by. Where I live (and in tons of other places), we have a chain of grocery stores called Earth Fare that guarantee that no foods in the store contain high fructose corn syrup, artificial fats, colors, flavors, antibiotics, etc. They DO carry some genetically modified produce, but all in all, they make it very easy to eat better. Of course, pre-packaged food can be bad for you even if it is made from natural ingredients, but I still like the concept of the store. Sounds like a good store. We don’t have those around here (in Michigan). I’ll have to look them up, so if I’m traveling, I can stop by. It sounds like it would make shopping easier; however, I tell people just because they’re shopping at Whole Foods or Trader Joe’s (stores we have around here) doesn’t mean everything is healthy (which it sounds like you already realize:)). Thanks for stopping by! Totally agree with your list! But being Paleo, I would also add sugar, grains, beans and white potatoes. Alcohol is pretty bad, too. it saddens me as well that most people have enough motivation to modify their diet only when they are seriously ill. They would save so much pain if they focused on prevention rather than curing. Eating a healthy diet is fun, delicious and makes you feel great. It’s a complete win-win situation. isn’t it? I agree! It’s too bad people wait to modify their diet only when they’re ill. I did that myself. I wish I would have done it sooner! I tend to follow some Paleo principles (no sugar and little grain), but I wanted to make this list a little more generic. You’re right – it is a win-win situation when you eat healthy! I can’t imagine eating any other way! I definitely agree that it’s a good idea to follow a good diet. Mine is terrible and I seriously need to do something about it. But I wouldn’t want to give up my treats entirely. I think it’s fine to enjoy fast food and goodies as long as it’s only in moderation. I just haven’t mastered the moderation bit yet! Thanks for stopping by! I encourage you to do what you can with your diet. It’s a process, but every little bit helps. Personally, I keep away from fast food and other bad food, but my health requires it. I don’t think eating something bad every once in a while is going to kill someone, but when you keep doing it over and over, it’s going to take its toll (I’m living proof of that!). Good luck in mastering moderation! I actually did not have a difficult time changing the way I eat. I was reared in a home that served dessert every single day. I initially carried the bad habit of eating sugar every day; however, once I learned how damaging food is to our health (particularly that it promotes cancer cell growth), I decided to dramatically reduce my intake of it. I mostly eat organic, never drink sodas or fast foods. That’s great! You’re definitely further ahead then most people when it comes to their diet! Sounds like you’re heading in the right direction. Thanks for stopping by! I am trying really hard to change right now! I have gained weight recently (I’m a stress eater) and both my family doctor and my headache doctor (I get migraines) have gotten on me recently. They both agree that Atkins will do well for me, since I’m a Type 2 Diabetic. Change is NOT going to be easy but in the long-run, hopefully it will be good. I love buying organic and cruelty-free products. Thanks for your words of wisdom. Glad to hear you’re trying to make some changes and you eat organic! Sorry to hear you get migraines. I used to get those too. They’re awful and would shut me down for the day! Fortunately, I haven’t gotten one in a while now. I contribute that to changing my diet, eliminating toxins and seeing a chiropractor, in addition to getting healthier overall. I’ve definitely heard of the Atkins diet, but I’m not too familiar with it. Make sure you do some research on it before you decide on a particular diet. Thanks for stopping by! Teresa, I love your switch from change to modify. It encourages me because I’m so bad at my commitment to by non-GMO or non-processed. I am taking good baby steps, though. Does organic automatically mean non-GMO? Hi Sondra! Glad to hear you’re taking some steps – it’s a good start which you can continue to build upon! Yes, according to organic standards, they do not allow GMOs. Always look for the round organic label, or the non-GMO project verified label (http://www.nongmoproject.org/). If you find both of the labels on something, that’s a bonus:)! I could probably do most of those things. But soda, that isn’t something I want to give up. It just tastes so good. I have tried sparkling water before. It went great for a couple of months. I of course went right back. I do however, drink far too much soda. Cutting back could be easier, but my husband is an enabler. Thanks for stopping by! Glad to hear you could try to do most of the things suggested. Pop was one of the first things I gave up. I loved it, but I quit cold turkey. My husband still likes his pop every so often. He’s cut back a lot of it though. I don’t know if this would work for you, but he only buys cans now, not 2 liters. He finds he drinks less if it’s in a can (only 1 can from time to time) instead of trying to drink all of the 2 liter before the fizz goes out. The next thing he needs to do is buy the little 1/2 cans instead. I hope you’re able to continue to cut back on it. It’s worth it! Glad to hear you’ve changed much of your diet! That takes a lot of work, especially if you grew up with food that wasn’t as healthy. It’s great that you like to cook too! I wish I enjoyed cooking. It’s a challenge for me, but I do it because I know it’s better for me. Thanks for stopping by! Living naturally has been an ongoing journey for us as we learn to slowly make new lifestyle changes daily. Thanks for your post! Thanks for stopping by! Living a healthier lifestyle is definitely a journey. It’s great that you’ve been making some changes! Continue to build on the things you’re already doing. It’s definitely worth it! There is a lot of common sense in your list of things to take out of our diets. Kids drink a lot of soda, and there is so much sugar syrup in so many foods. Education is so important for us all to be healthy! Thanks! It’s a process, but hopefully these suggestions help. Even if you do one of the items, you’re on your way to eating a little healthier! You’re right – education is definitely important. The more I learn, the better off I and my family are. Thanks for stopping by!